Βιογραφικό: «Novareign is a Progressive Power metal band based in the southern California/ Los Angeles region and has been active since 2012. 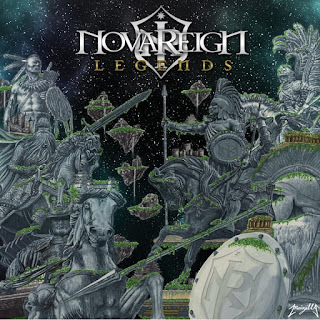 Influenced by the masterful shred work and powerful melodic vocals by bands such as Dragonforce, Angra, Iron Maiden and the complex compositions of Dream Theater, Adagio, Symphony X, and Between the Buried and Me, Novareign enters the metal universe delivering the new age of Progressive Power metal. Along with the listed metal influences and many more, Novareign also incorporates elements from jazz, funk and EDM, to add a little more flavor the product. The last thing we want to be is another generic metal band to our time.